Anybody who is intending to retire (particularly those taking early retirement) without a healthy Defined Benefit Pension or without knowledge of a guaranteed healthy inheritance should be wary of and maybe even have a healthy fear of sequence of returns risk. It is the risk of receiving a series of investment returns that are negative (or lower) during a period when you are in portfolio/wealth drawdown which then never allows your wealth to recover even when investment returns normalise. Blackrock have a couple of charts which demonstrate the phenomena nicely. Firstly, let’s look at Sequence of Returns during the Wealth Accrual Phase (ie before Retirement). The chart below shows 3 investors who each make an initial investment of $1,000,000 at age 40 and then never invest again. Each has an average annual return of 7% but each experiences a different sequence of returns. 25 years later each has the same portfolio value even though valuations varied along the way. Now let’s look at Sequence of Returns during the Wealth Drawdown phase. Again we have our 3 investors making the same initial $1,000,000 investment, the same average annual return of 7% with annual returns following the same sequences as during the Wealth Accrual Phase. 25 years later each have very different portfolio values with Mr White now forced to beg for food under a bridge. Think running out of wealth can’t happen to me because I’m going to use the ‘world famous’ 4% Rule then maybe it’s worth doing some more research including that from Wade Pfau before you pull the retirement trigger. Use the 4% Rule as a UK Investor with 50% Global Stocks / 50% Global Bonds combined with a history repeat and you’re Mr White in 17.9% of cases within 30 years. That’s a scary thought to me given my retirement period, should I pull the trigger next year at 43, could be 45 years (assuming I die at my average forecast age of 87). Worse than that I also have a 1 in 4 chance of reaching age 96 and a 1 in 10 chance of reaching age 102. 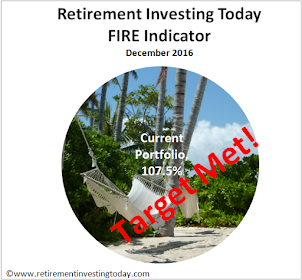 That’s a 1 in 10 chance of a 59 year retirement which is almost twice the Pfau and 4% Rule 30 year period. I plan to buy a home for cash very early into or just before retirement and certainly before my employability diminishes significantly. This reduces risk because the investment amount is known and can be planned for where if I stayed renting then the rent amount has to be taken from wealth monthly forever and so is exposed to sequence of returns risk. If I can also do something (eg Passive Haus, Solar PV Cells, Wind Turbine, Micro Hydro) to minimise energy costs I'm thinking of doing that also but more analysis work is needed here first. I'm not planning on using the 4% Rule but instead will use a 2.5% after investment expenses (expected to be about 0.25%) Rule. With personal finance as hobby, at least while my marbles remain with me, I’ll be making adjustments to spend based on what Mr Market sends my way. I won’t be over spending in the good times but whenever the previous year has seen a return lower than my drawdown amount I’ll be cutting back spend in the subsequent year. This should help but there is still a long tail risk and this is where the State Pension idea moves in for the kill. In all of my financial planning I assume that I receive exactly £0 in State Pension. This is because I believe in the years to come it will become means tested (despite having made plenty of contributions) with the ‘wealthy’ (read anybody who has planned for their future) excluded. So while everything is going well in drawdown I’ll never need the State Pension but if I should suffer a severe sequence of returns, then like Mr White, I'm no longer ‘wealthy’ and so will be entitled to the State Pension under a means tested pension scenario. Firstly let’s set the scene. The new State Pension is £148.40 a week for a full 35 qualifying years of National Insurance contributions or £4.24 a week for each qualifying year. That’s £7,716.80 per annum which is not enough for me as an individual to live beyond the bear essentials even with a fully paid for home. Add in £7,716 from my better half though and while not the ideal life we’d be ok with a couple of non-essential spends possible. Getting a full new State Pension. My latest State Pension Forecast tells me I only have 16 State Pension qualifying years so if I retire next year I’ll only have 17. My better half has similar. That’s only going to give me a maximum new State Pension of £3,748.16 per annum which is nowhere near enough. So the first thing I’m doing is planning to pay voluntary National Insurance contributions for the first 18 years of early retirement. No matter if I'm ‘living abroad but not working’ or if I'm in the UK ‘Unemployed and not claiming benefits’ then I need to plan for Class 3 contributions which is currently £733.20 a year. Just a quick demonstration of how good a deal this is – a contribution of £733.20 buys you £220.48 every year for the rest of your life. There is no investment that will even come close and it’s just one of the reasons I think I’ll be ineligible if all goes to plan. Age 43 to 67. My current State Pension Age is 67 years so if I take early retirement at 43 I have 24 years where if I deplete my wealth I’m back to being Mr White until Age 67. The State Pension doesn’t help me here and so this risk is still present. The only comfort here is that your wealth depletion risk increases with each year of drawdown. Age 67. It all falls apart at Age 67. I’ve had 24 good years of retirement and now I just have to cut my cloth to the full new State Pension or £7,716. Not ideal but I own my own home and at least I'm not Mr White. Of course lots of would be’s / could be’s in this post so plans will need to change/adapt as the government continually tinkers and as always DYOR. Do you have a sequence of returns insurance policy? It would be great to hear how others are planning around this risk given its seriousness. Excellent write up there, thanks. I have to say I haven't really thought about what would happen with adverse Sequence of Returns - I guess like you, I would reduce subsequent spending the following year and hope the market picks up. I haven't gone into so much detail but have done some similar basic calculations and intend to live on the sale of investments and use up savings until when I retire early (before 60). At 65, my DB pension will kick in but is not enough to live on by itself. At 67, I should get my state pension and I should have clocked up close to the 35 years for the full amount, although in my calculations, I've just used a 'loose' value of £5k when factoring it into my numbers. You really think it will be means tested in the future? As I get closer to my retirement date, I will do a more detailed and accurate analysis but I'm just over a year into my own financial journey, so I think it's too early to start sweating on the figures! Very interesting about the NI contribution of £733.20 buying you £220.48 every year for the rest of your life - something I hadn't considered at all. I wonder how many early retirees take advantage of this? - we're supposed to be in times of Austerity yet the government is still borrowing £90B (5% of GDP) or so every year. That can't go on forever IMHO. As a comparator and to keep it in perspective the EU Treaty defines an excessive budget deficit as one greater than 3 % of GDP. - looking at a top level pie chart of UK spending and the number 1 spend is pensions at 21% of total spend. Second is the NHS at 18% and that seems to be an untouchable sacred cow in terms of spending cuts (tinkering is a different thing though). - Tax rises are going to be limited given the proposed legislation that will ban income tax, VAT and national insurance increases for five years. It's no secret that they aren't going to tax us a great deal and are going to be making lots more spending cuts. To me Pensions have to be an eventual target for further spending cuts. Might not be in this parliament but for me at least they still have 25 years to cut me out so plenty of time yet. There is also already form out there in the developed world - Australia already means tests it's pensions to name but one. "Mr White now forced to beg for food under a bridge." Tough times for Mr white. S of R risk is pretty scary, and definitely something that would encourage one more year style thinking. 17% is a scarily high probability. Through prudence in all of my assumptions. I guess I run the risk of too much prudence and delaying pulling the trigger but it seems the simplest high level approach for the moment. - assuming no further paid income (my blog generates 5p a day so that assumption is out the window :) ). 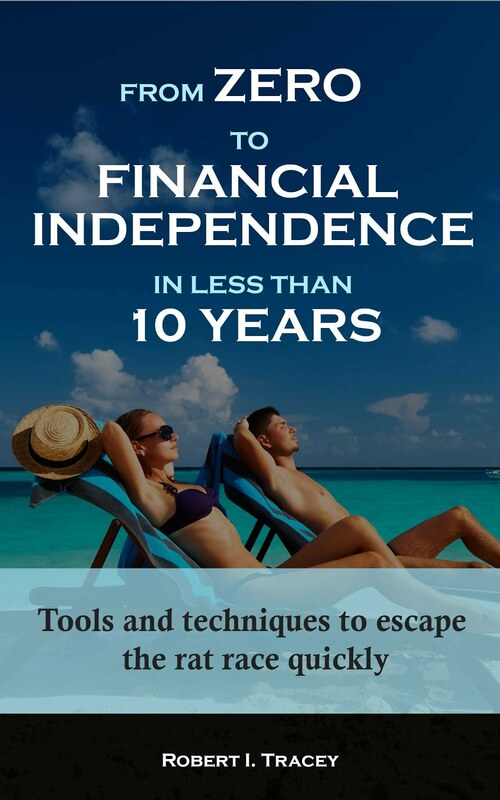 I honestly think if you manage to retire early through saving and investing yourself you'll have a massive skillset that could be used to generate some income. Coaching. Consulting. Writing. You hit upon a very important point in your comment - One More Year (OMY) syndrome. I am naturally quite a risk averse person - my occupation of some 20 years or so has really rammed this into me as a person. My fear is that I have 'enough' but SofR concerns or some other thing force me into OMY, then 2 more years etc. I really do want to have myself well covered and researched so that I have the courage to pull the Early Retirement trigger shortly after reaching FI. After all you're a long time dead. Thanks for the idea of the voluntary class 3 contributions, something I will look into myself. is this really such a good deal? I have not done the math, but what if you would invest the full amount you're short for 25 years instead and buy an annuity when reaching 67 (giving aprox 6% py), wouldn't this give potentially a better deal? Or can you spread out the voluntary class 3 payments? I guess the downsides are the risk of lousy investment returns and annuities not keeping up with inflation, while state pension does (if I am correct). You can spread out the Class 3 contributions. At the moment for future years it's a better deal to start as self-employed on an occasional ebay seller basis and pay voluntary self-employed contributions instead. Don't mistake class 3 for class 3A. Class 3A is a bad deal compared to deferring at younger ages and by the time someone reaches age 81-82 where they match in value for money an annuity might offer better value for money, maybe even younger. "Is this really such a good deal?" A quick "worst case" using my situation. Let's say I invest £733.20 in my first year of retirement, it then grows at a real 6% per annum (I assume 4% in my own investment planning) for 24 years which results in £2,968.68. £220.48 taken from that would be a 7.4% withdrawal. You won't be able to safely withdraw that from a portfolio for the rest of your life given the work by Bengen and Pfau. You also won't get an index linked annuity on your 67th birthday that comes anywhere near. Having retired at 55 four years ago with a DB pension to pay essential bills I find I can manage at the moment by using only the natural income on my investments, i.e. no predefined withdrawal rate. In 7 years I will get the SP but not the new 'flat rate' because of being contracted out. The biggest worry is persistent inflation. Up to about 3% should be okay, but if we run into >5% over some years this will smash my income streams. Wait until the flat rate starts then start a home business selling things on ebay occasionally. Pay voluntary self-employed NI contributions, they are currently dirt cheap and may remain so. Your state pension entitlement will increase by 1/35th of the flat rate per year of self-employed contributions until you reach its cap. Thanks for sharing your situation. Unfortunately I don't have a DB Pension as a backstop to cover any essential bills. If I make a mistake I'm Mr White. How about "care" costs? Does the house pay for those? I haven't quite made it that far yet. The house would be the obvious choice but I'm conscious that one of us might still have our marbles while the other is dribbling down our shirt which might mean one of us still needs a home. Downsizing won't be an option as we're not looking for a 'mcmansion' in the first instance. What are your plans here? My strategy is "hope". The likelihood is that I'll die long before my wife, so as long as I don't need "care" she should be able to use the house for herself. The chances are high that she will eventually need "care", judging by family medical history. But if I go and have a stroke, say, and need "care" for some years, then I'm not sure. Presumably my beloved will decide. It wouldn't take many years of "care" for me to deplete our capital. The obvious solution to "care" costs is insurance, but I understand that those firms who tried to make a living from it found it impossible. Presumably that's because most people plan just to freeload on the taxpayer. One thing that might prove useful there is that we own the house as "tenants in common" not as "joint tenants". As you know I'm still yet to move into the home owning stage of life. How does tenants in common vs joint tenants help you in this phase? It helps (as I understand it) when you have exhausted your capital on "care" and have to fall back on the taxpayer. It means that at least your spouse's half of the house can't be taken to fund your payments. But I am open to correction on this. Maybe we all need to accept that we can never fully nail down the future. I recommend a read of Alan Watts "The Wisdom of Insecurity". A little dated but contains timeless principles to help us get things in a little perspective. Good point Janet and it's a continual "conflict" in the RIT family. I'm very much a plan plan do with plenty of risk management along the way type of person. My better half is a let's try it and see what happens type of person. Combined we make a pretty strong team but you get more of me on this blog. Thanks for the post, as always, RIT. You are always saying that if you buy a property it will be for cash but what if you could get a mortgage rate significantly less than your average investment return? If you can, why not get a mortgage like this, make sure it has the option of early repayment and if the interest rate turns sour then pay it off. It keeps your options open. I am not suggesting you get a huge mortgage but maybe see what you can get as a sensible % of your house price (e.g. 20%) and make sure you have at least that amount in the accessible part of your portfolio (ISAs, cash, etc). One tie-in is that you must have buildings insurance but most people would have that anyway. Yes, there are fees, but factor these in and do the calculations. I have not looked at mortgages in a long time but it seems strange to me that you are devout about paying for a house outright should you buy one. Given your frequent assessment of your finances you could easily keep on top of the best mortgage deals (currently maybe 3.5% all-inc?). Maybe at least worth not ruling out? Ref renewables in the home. I have not checked recently but last time I did PV were a sure thing. If still a 10yr pay back with an expected 25yr life then I would suggest them to anybody with the cash and an appropriate unshaded roof aspect. I have them and have designed systems that use them. The low risk comes from the fact there are no moving parts and so no maintenance. Choose and install wisely (DYOR) and the risk is low. On the PV front. Do you have a circa 4kW and system? With feed in during the day and then grid usage at night/winter do you still end up with an electricity bill on an annual basis? I understand your sentiment with regard to 'debt'. But if you ring fence the equivalent amount in NS&I, P2P (ok, both maybe a wait of something like up to 3yrs and, I guess, there is an increased risk with P2P), cash, gold (or equivalent tracker), all of which you already have as part of your portfolio, and you predetermine the interest rate to which your mortgage must rise (and for how long this is sustained) to trigger you to pay it off then there is little room for it getting out of hand. If you were not going to keep these elements of your portfolio at time of retirement (or they are very small) then that is a different matter as, yes, there is the risk you will not have the money to pay off the debt when you need it. Sure, the risk evaluation is completely subjective so I understand. Re PV. Yes, I have a 3.9kW system. I just had a look at feed in tariffs. Things have become complicated so you need to check the detail. Feed in tariffs are far lower than when I installed but so is the system cost. You would have to do the sums to see if it is worthwhile - there is loads of info on the web (with just a brief look it looks like about a 10yr payback period for a £7k investment but the sites I looked at could have been biased). My point was really that this is usually the most reliable buy-and-forget type of home energy generation (if you have an unshaded south facing roof). Many of the other types are either unproven long-term, longer (and unpredictable) payback periods or have unpredictable maintenance costs. The bulk of the money saving with a PV system is still with the feed in tariff which is what you get paid per kWhr generated whether you use it or not. Although supposedly guaranteed from the time of install, it could feasibly disappear (government decision). As an aside, if you have a power cut, ironically, you cannot generate from your PV because it needs the load of the grid to regulate (unless you have a special isolated system costing extra). Have you contacted the National Insurance team for a state pension forecast? I did recently and learned that I have made qualifying payments since I was 16, even though I was in full-time education for many years after that age. If you're in your early 40s, you may have already paid as many as 25 of the 35 qualifying years for a full state pension anyway. It's also possible to back date up to six years of missed payments. In which case, you can see how things re means testing play out a year or so before you reach official retirement age. If you're still able to qualify, then make voluntary contributions for the last six years. This should pretty much bring you up to the full 35 years of qualifying years? Yes that is based on a State Pension forecast. I've gone with the online version so I can get an update annually. Unfortunately I missed a few years early in my work career so have a bit of catching up to do. Unless more new workers are suddenly born or allowed in from other countries, "state and public pensions are unlikely to provide an adequate post-retirement income," Roy writes. Solving the pension crisis with increasing population is unsustainable. There will be a lot of hurt in this country through the neglect of past governments and the lack of individual responsbility. The question is whether the pain will occur quickly or slowly. Nice post as always, the idea of making voluntary NI payments to secure more years for the SP is certainly something i need to factor into my own escape plan. Then to further mitigate against sequence of return risk I would seriously consider taking on a little bit of freelance work again should the markets take a tumble in the first 5 years or so. The other strategy that intend to use anyway is to always keep the equivalent of 3 years living money in Gilts/NSI Linkers/Cash ISA and spend that bucket in a downturn rather than being forced to withdraw capital from my investment portfolio at a bad time. Really enjoy checking in your blog keep up the good work ! !